We have been a bit slack sharing our actual WORK and getting caught up with other fun things to post off the interwebs. We though it was high time to share a baby shower we did, as well as a christening. 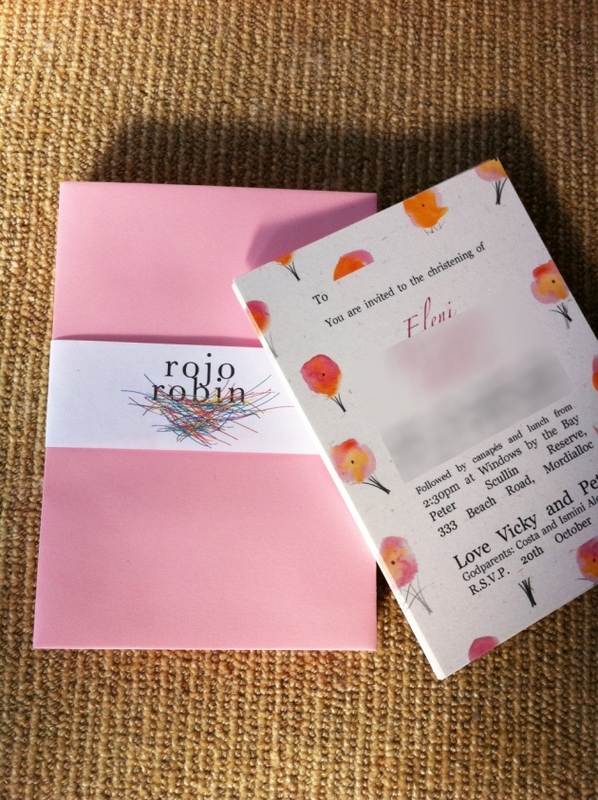 We wanted to represent the shower aspect but keep things girly for a cute baby shower invite. We “put a bird on it” (check out Portlandia for more birds.on.it) and pinkerized with matching pink envelopes, and little umbrella stickers to close the envelopes. Cute we think! 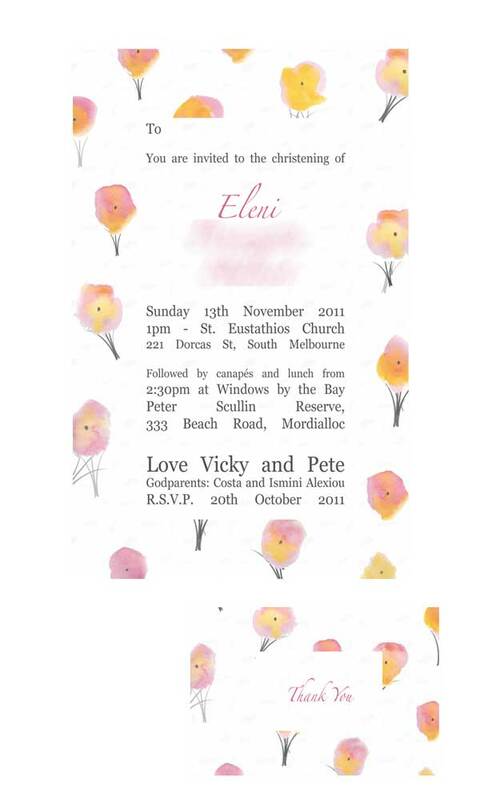 We also made some sweet christening invitations, placecards and thank you cards for the lovely Eleni. Excuse the poor digital representation and photo (we will improve, we swear!) but reports were that everyone loved the invitations and extras. Soon to come… wedding season! We will share pictures from some lovely couples big day very soon.